A glitzy posh bar with a dark seventies inspired interior offering great drinks which you trade purchased casino chips (isabelinas) for. Upbeat house music, pulsating ceiling lights and a courtyard with a lit fireplace complete the glamour of one of the best bars in the city. With one of the most interesting cocktail menus in town, this great closed door establishment is a great option for drinks any night of the week. 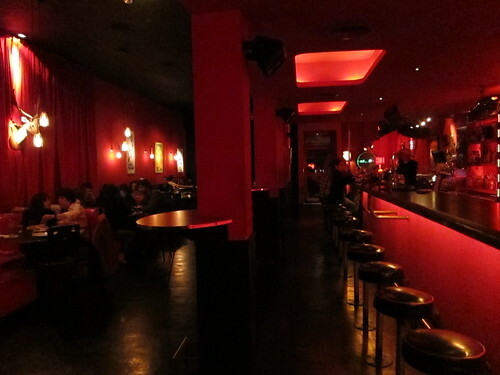 The VIP bar in the back plays some great music, offers a great selection of whiskys and, has an indoor smoking area. (If you’re a guest at Fierro, access to the VIP can be arranged). This trendy restaurant and bar is very popular amongst locals and foreigners. Oriental style carpets, lush couches and a resident dj give the place a great laid back ambiance in which to enjoy the evening. As the name of the bar suggests, this bar prides itself on its unique bizarre ambiance. Combining American 40’s and 50’s elements, great music, interesting visuals and even better cocktails, for which they have become famous, this is definitely a must in the Palermo area. A lively and vaudevillesque atmosphere where you can play board games and choose one of their carefully prepared drinks made with fresh fruit. The colorfull decor and the vibrant crowd make for an upbeat and fun outing.